After passing a successful round of Series B funding Makeblock is poised for large international growth with their STEM Learning products. As we move forward it’s quite clear that many of us are going to need an education in electronics. The increasing number of smart devices as well as the ups and downs of right to repair legislation show where we are heading from a technological point. As such we, as consumers shouldn’t just look at our education but also the education of our youth. Makeblock is a company designed to fulfill that idea. The Shenzhen-based startup recently raised $30 million in Series B funding from notable organizations including Evolution Media China and the Shenzhen Capital Group.The company is known for creating robot kits for hobbyists with a particular focus on educating the young. Their earliest success was with the mBot series of robots designed to teach the basics of programming and assembly of tiny robots to complete simple tasks. The company’s objective has been with each new product to promote STEM Education, this being the teaching of science, technology, engineering, and mathematics but in an applied method where the subjects are integrated and used for real-world applications. This funding news comes after Makeblock’s multiple successful Kickstarters such as the Airblock back in December and the Makeblock Neuron which has doubled its Kickstarter goal with more than twenty days remaining as of this writing. 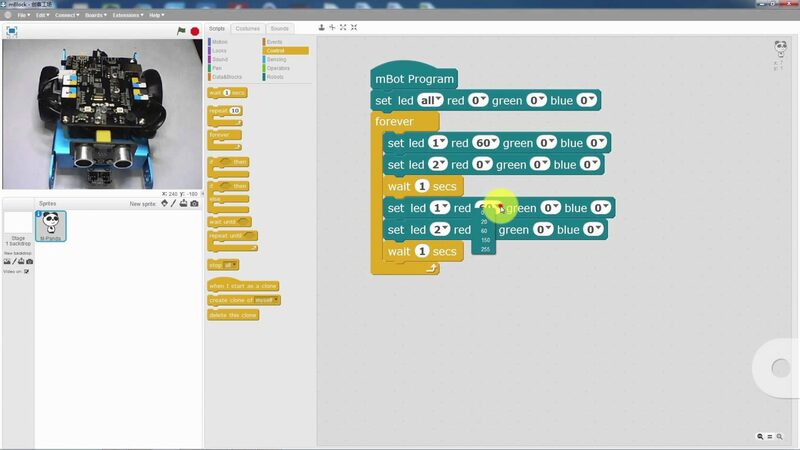 In turn, these products are powered by Makeblock’s own graphical programming language mBlock based on Scratch 2.0 Open Source Code so that young users can easily program their devices accordingly when needed. The company’s focus on this type of simple use and easy to comprehend electronics comes from the ethos of the CEO Jason Wang. In an interview with TechCrunch, he explained his limited access to technology in his youth and was only able to access them during his college education. Despite this, he gained a strong passion for technology and held a strong desire to bring young students into what is known as the “maker movement” hence why he started the company in 2011. Currently, Makeblock’s first plan for their funding is the creation of their first annual robotics competition later this year. This is in addition to new hirings, project development, hirings and expansion of global offices in Beijing, Hong Kong, North America, Japan and the Netherlands. Makeblock itself has aspirations of being the Lego product of the 21 st century, but experts worry that the company may be acquired long before that by another major toy manufacturer. I think this is only the beginning for the consumer based computer programming robots that are going to hit the market. These can be scaled down and sold as affordable kits for Christmas. Just to get the programming ball rolling, I think its a great idea! I recently watched a YouTube video that featured this kind of programming. I really like it. It gives your mind the right mindset to code and it also shows how electronics view code and read through it. Very interesting.